Going inkless lets the impression of letterpress do all the heavy lifting. Henslin, transforms vintage pieces into beautiful objects and gives them another life. Each piece is made is one-of-kind and with a life lived before. 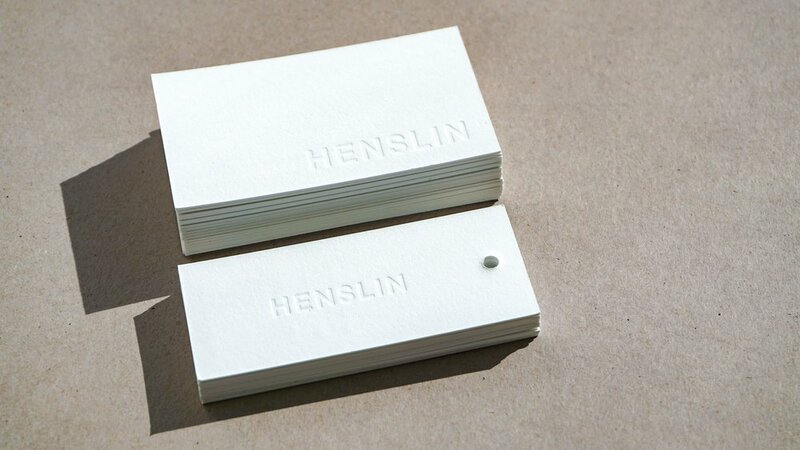 We had the pleasure of creating hangtags for these objects and business cards to jump start Henslin. 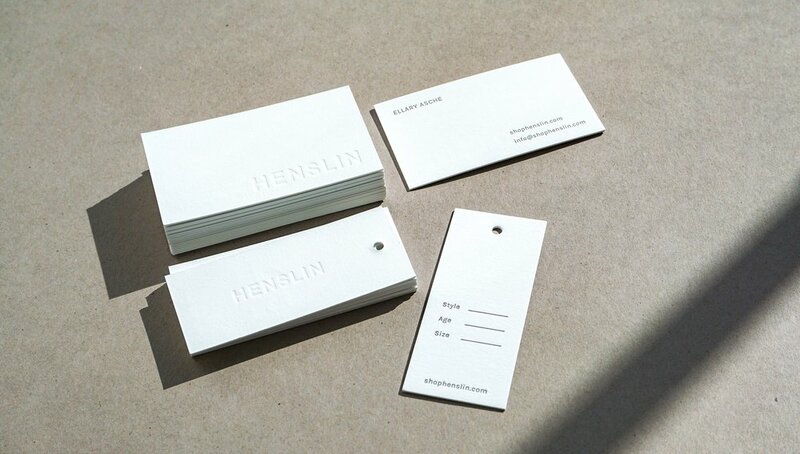 For this project, we gang printed on Reich Savoy 236# in Brilliant White, a favorite USA made paper. 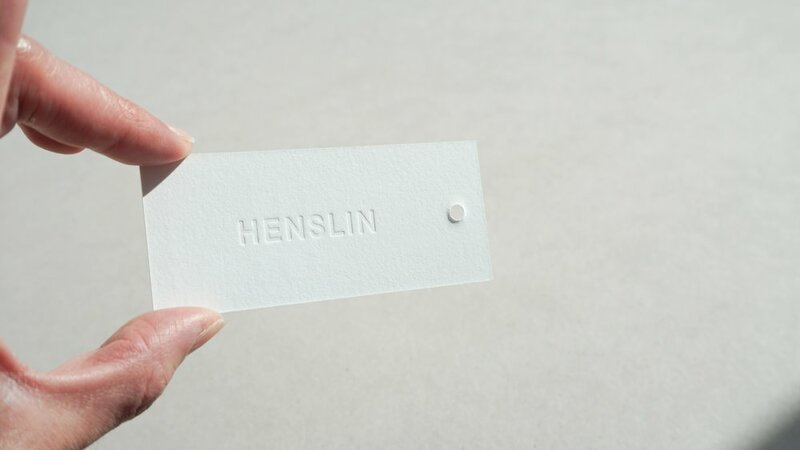 We mixed a dark grey ink for the information and punched a hole for the hang tags. 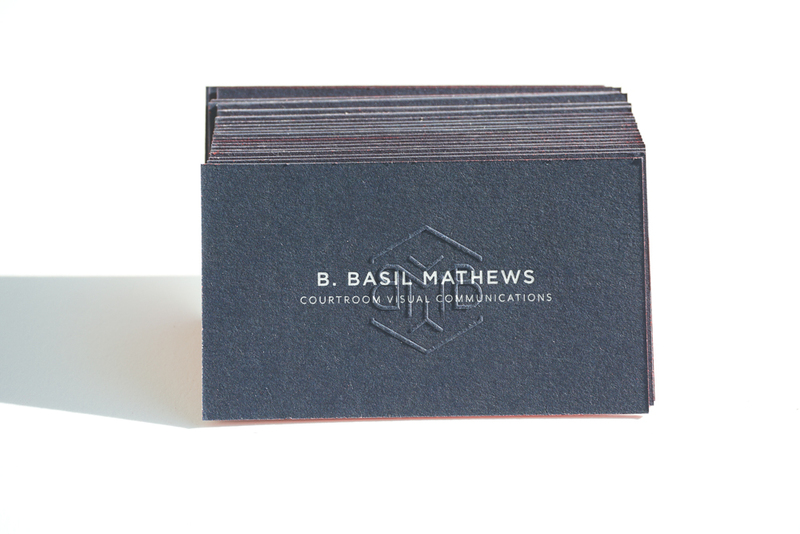 Well done business cards are an investment and you want to get done right. Interior Designer, Ashley Donohue, first came with a handful of color swatches to choose from. Instead of choosing one scheme to print, we chose them all! The trio of colors worked so well together. Put two creatives together (imagine us on the phone going back and forth on color + finishes), and this is what happens. We couldn't decide on only one. During production, the logo side was originally slated for white ink on colored paper. The teal colored card shows this original idea with a silver - white foil with a subtle metallic sheen. 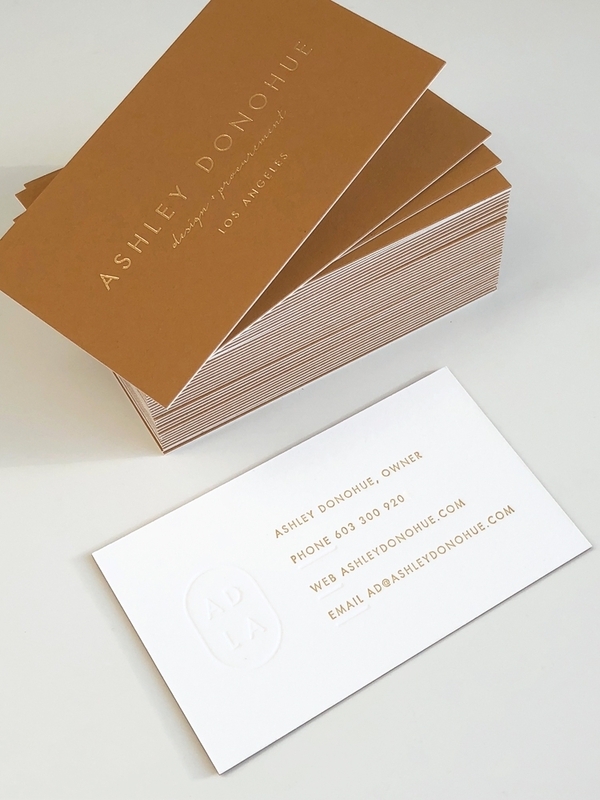 For the other cards, we selected foils in a similar tone as the paper to match the dusty rose + marigold colors. The information side of the card has both a blind debossed logo + info in the coordinating ink. Both side were mounted together to make a sturdy card, about 200#, not too thick. 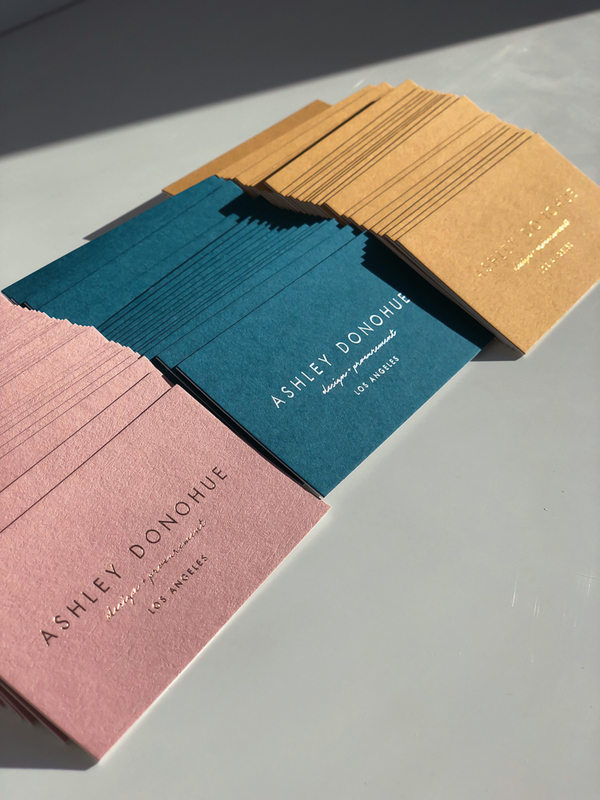 We went the extra mile for Ashley and the outcome is an inseparable trio of cards. One of the best parts of working with designers is getting to know them as a person first and to see them create a brand that is an organic extension of themselves. I met Elise Joseph, a stylist + tastemaker now based in Nashville, Tennessee, a few years ago and back then she had the vision to create Goodwin but it was a vision at the time. We shared a long coffee in Venice's Abbott Kinney area and even then she was longing to be in Nashville. She was outgrowing her blog Pennyweight and was looking ahead. A few years later she reached out for some collateral for her new adventure, Goodwin, a curated capsule online shop based on the foundation of mindful women's wear. Her shop carries clothing from independent designers for a conscious buyer. I too have been trying to buy clothes with this ethos and ask myself "Where is this made? How and where was the fabric created?" As someone who works with my hands, I try to value the time and quality put into each garment. The effect of wearing a piece made with intention makes me feel beautiful and gives me a sense of pride knowing that I helped to support a fellow creative. I know the piece will last longer and plus there'll be no one else around wearing the same thing. Elise partnered with Julia Kostreva to create her branding and logo. For her printing, we selected neutral toned papers milled in Germany. 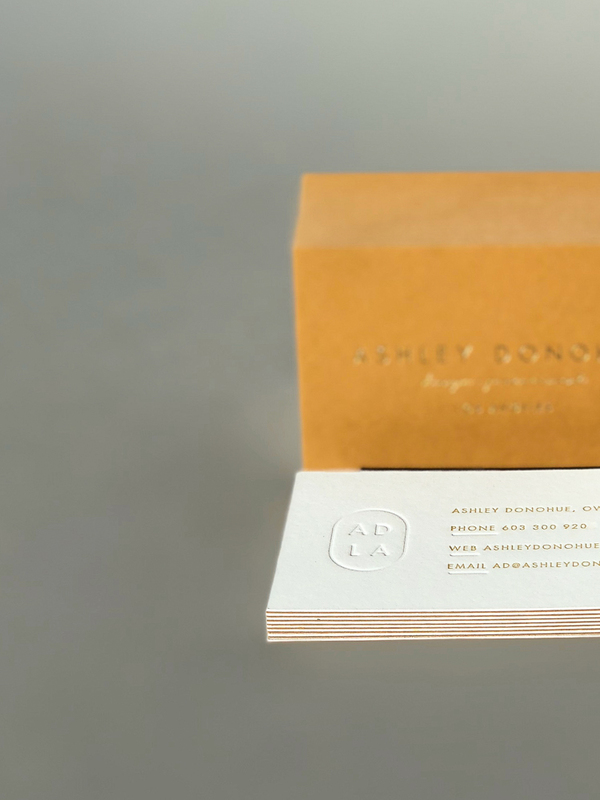 Her business cards are duplexed to about 200# and letterpress printed. 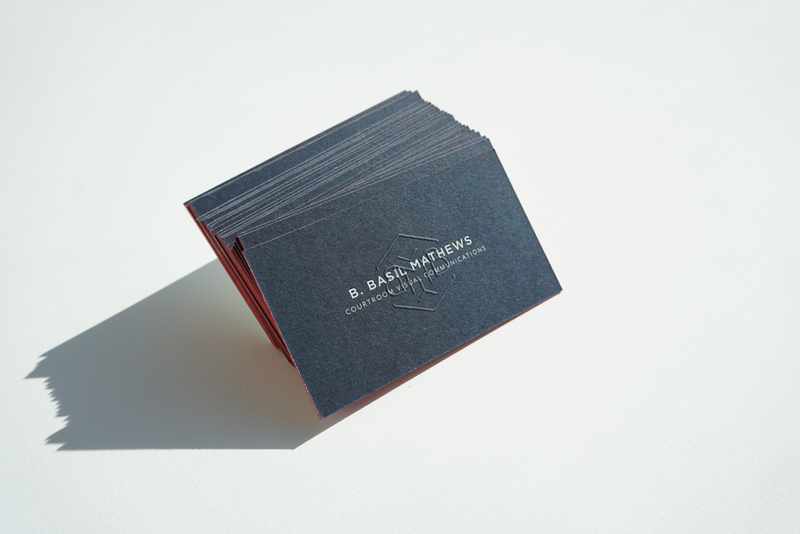 The hangtags are also letterpress printed and triple-mounted with a black paper sandwiched in between for an extra thick tag. These projects are my favorite kind- there's fulfillment when unique prints are sent off to a place with heart. I'm grateful to be a part of Goodwin's circle of designers even if it's only through paper. 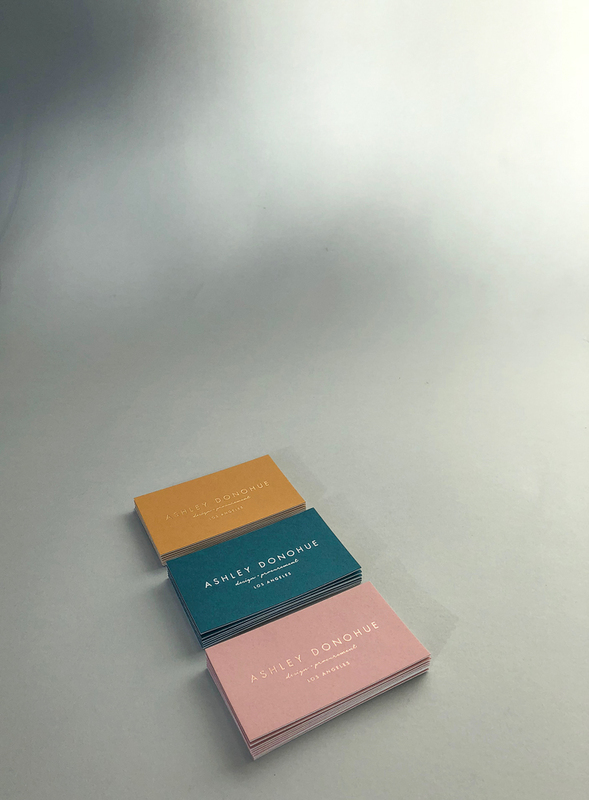 We've slowed down on business cards in the studio lately, but recently we helped create some unique business cards that we can't help but share. Aiming for business cards that felt like an extension of herself, watercolor artist Satsuki Shibuya came to the studio looking for a solution to combine her artisty in her business cards. We first thought of maybe painting on each card but that's too painstakingly time consuming. We also wanted to be mindful of the function of the card being careful to not obstruct contact information. The solution was to letterpress print her contact info and have the backside with her watercolor. A blind deboss of her name was the perfect mark with her watercolor. We came up with the solution of creating large sheets of her watercolor and then cutting it down for letterpress printing. We mounted sheets of the watercolor painted sheets with GMUND's cotton stock in 111# and blind debossed on the watercolor side and letterpressed in black ink her information. The best part was yet to come. As we trimmed the card, each card created a special vignette of her watercolor. No two cards are completely alike and each one, in the end, was hand painted by Satsuki. These are worth framing! !